Swollen Hand Blues was a b-side to the very final Oasis single, Falling Down . Recorded at Abby Road studies, Falling Down reached number 10 on the singles chart. As usual, Noel Gallagher is chanelling The Beatles but referring to the Rolling Stones. The b-side was notable that it was the only song that was not a remix b-side that were included with the 3 singles from Dig Out Your Soul. An excerpt of the b-side song "Those Swollen Hand Blues" appears at the end of "Mucky Fingers", second track of Oasis' 2005 album Don't Believe the Truth. Why won’t everybody give over? Here's The Swollen Hand Blues guitar chords. 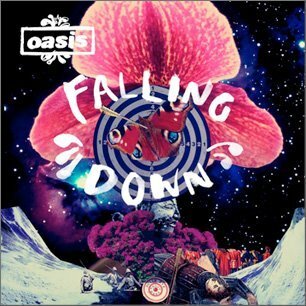 Check out the lyrics to Falling Down here and the chords here.